An RTE broadcaster, who presents agricultural programmes, has said Irish cyclists have only themselves to blame for their own unpopularity. RTE broadcaster Damian O’Reilly has penned a column for the Farmer’s Journal saying Irish cyclists are disliked because of the way they dress. O’Reilly said there was a huge difference between Irish cyclists and the sophistication of French cyclists and Danish cyclists he saw on a recent trip to Copenhagen. In Copenhagen the cyclists were on “retro bikes” and were dressed in “office clothes”. “Men in suits. Women in pencil skirts. Parents taking their children to school on cargo bikes,” he writes. “No helmets, no florescence, no fuss. All calm, cycling peacefully in their droves along the very generous designated cycling lanes which measure 400km in total. O’Reilly says given the scene he encountered it was “no wonder” Copenhagen was the “happiest city on earth”. Damien O’Reilly then turned his attention to Irish cyclists. “Now come to Ireland,” he writes “where the image of cycling and cyclists couldn’t be more difference. 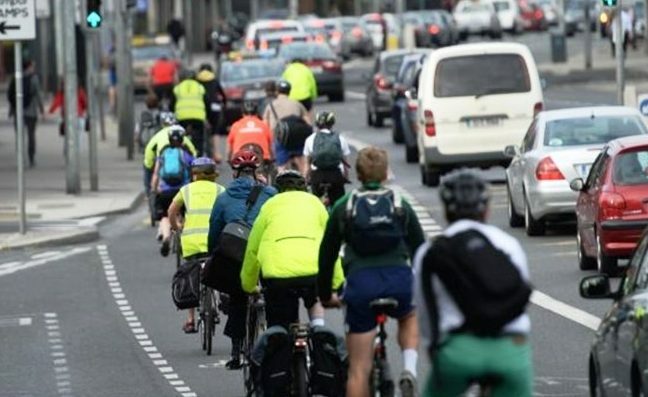 “Whatever about the lack of designated cycle lanes and narrow streets, I’ll tell you what is at the centre of the sulphurous relationship between Irish cyclists and the rest of mankind. It’s the ‘gear’. “The Irish cyclist looks like he is heading off to compete in the Tour de France every morning, dressed from head to toe like Bradley Wiggins. “It’s true. Before he puts his leg in Lycra over the crossbar, the Irish cycling outfit arrogantly screams to the rest of us: ‘Get out of my way’. And yes, it is mainly male cyclists I am talking about. “I am sorry if this sounds flippant, and of course there are law-abiding cyclists out there. Moreover, if Copenhagen is a university of cycling facilities, Dublin is the playschool. Tensions between Irish cyclists and other road users was exacerbated by cyclists sharing tight road space with vehicles, including trucks. “That doesn’t mean there is any excuse for road rage,” O’Reilly says.